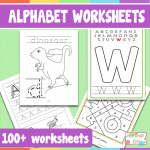 Ready for some fun ABC learning? 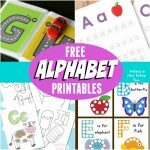 We got a huge pack of Alphabet Playdough Mats that will help your kids familiarise themselves with the letters of the alphabet. As kids love playing with play dough, these are more than perfect to get them learning at the same time. 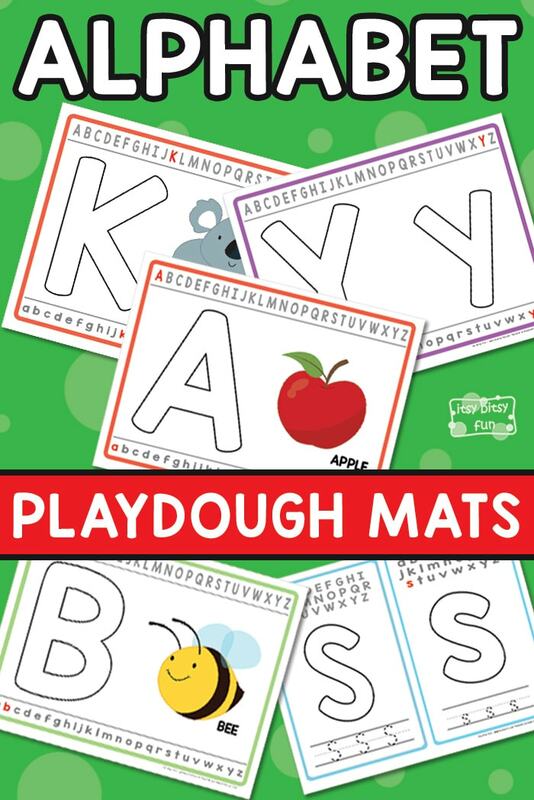 There are 4 different sets of ABC playdough mats covering both lower and upper case letters. These are great for toddlers and kids in preschool (although kindergarteners will love them too). The aim of these mats is to help kids identify the letters as they are building them with play dough. Working with play dough also strengthens fine motor skills which is an additional plus. All versions have all the letters from A to Z. The first set of mats includes an uppercase and a lowercase letter both on the same mat. Above and beyond the letter you’ll also notice an alphabet with the letter the kids are working on marked. This will make your kids familiar with the whole alphabet and where they are at with the current letter. 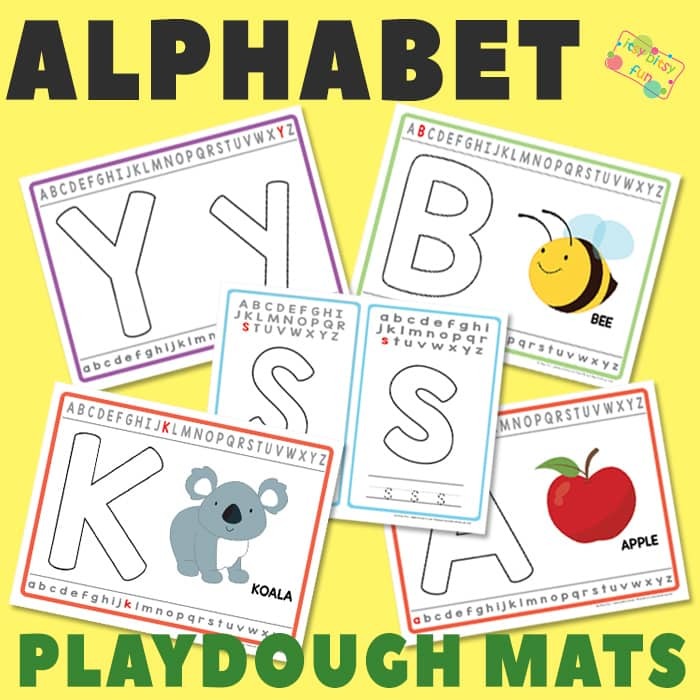 The second version of play dough mats includes a big outline of an uppercase letter and an image of an object or an animal that begins with said letter. On the third mat, your kids will be working on lowercase letters. 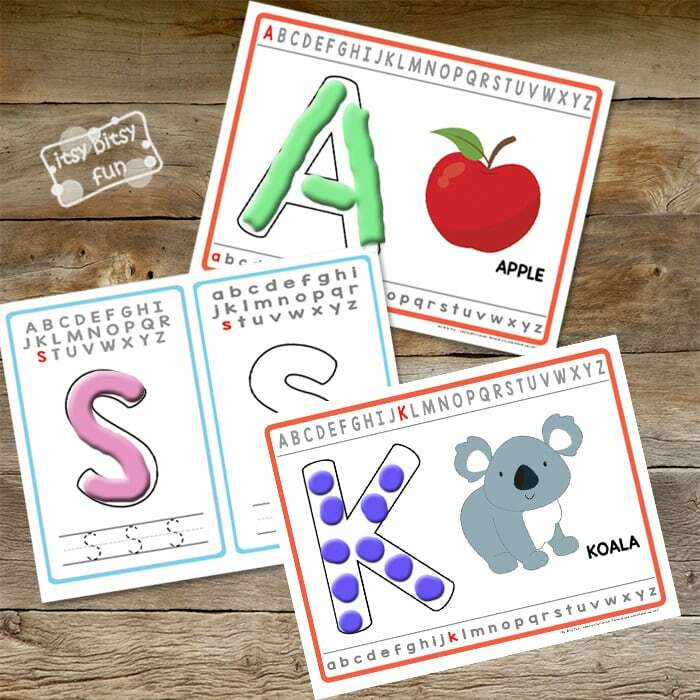 Fourth version features both uppercase and lowercase letters of the alphabet along with letters to trace, so kids can practice writing the letters with dry erase markers. 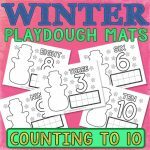 These can be used as one playdough mat, or can be cut into two smaller cards. These play dough mats need to be laminated for use. They can be either used with playdough or with dry erase markers. Love alphabet practice? 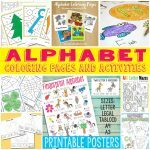 Also check the Alphabet Coloring Pages and enjoy playing with a lovely pack of Alphabet Flash Cards.